Drubchhu is located near the tri-junction of the National Highway between three dzongkhags (districts); Thimphu, Punakha and Wangdue. This makes it an ideal halt for the long drive across Bhutan. Drubchhu was started in 2014 and is slowly starting to take root. The entire property is supplied with fresh water from the spring on the land. Simple and hearty meals are served with consistency by our young kitchen staff. We have an ever growing kitchen garden which gives the kitchen a constant supply of fresh salads. Evenings may be spent soaking in a hot stone bath, then you may opt to spend some time in the ‘Mad Man’ bar sitting around a warm bonfire. A wood fired oven is nearby for pizza and roasts on demand. Mornings can be started with fresh coffee at the café with a stunning view. All the while you will be under the personal care of two sisters who own and manage the resort. 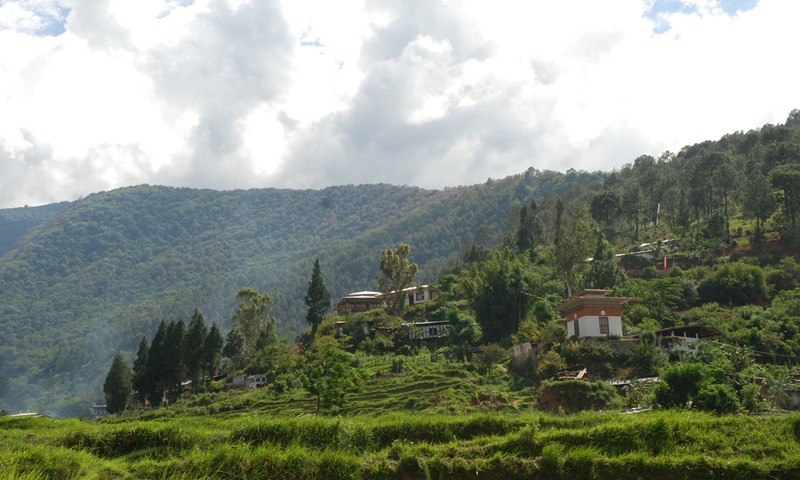 Drubchhu has a panoramic view of paddy fields which, through the seasons always provide a picturesque scene of rural Bhutan. Drubchhu is shaded by giant pine trees which are believed to be the homes of ‘lues’ or ‘nagas’, the serpentine protectors and long-time inhabitants of the area. From Drubchhu you can see and easily walk to Chime Lhakhang, a temple which is built on a hill that resembles the breast of a woman. The site is where, Lam Drukpa Kuenley, the Divine Madman, a much cherished figure in Bhutanese history, is said to have finally managed to subdue the demon of Dochu La (the pass between Thimphu and Punakha); who fleeing in the form of a dog was finally subjugated by Drukpa Kuenleys’ ‘flaming thunderbolt of wisdom’. This ‘flaming thunderbolt of wisdom’ which adorns many walls in Bhutan, as a protector of external and internal disturbances, was Drukpa Kuenleys’ tool for both subjugation of circumstances and bestowal of wisdom. So Chime Lhakhang, which translates to ‘no dog’ temple still stands in the Punakha valley and is in possession of an old wooden phallus which is said to grant fertility to couples. 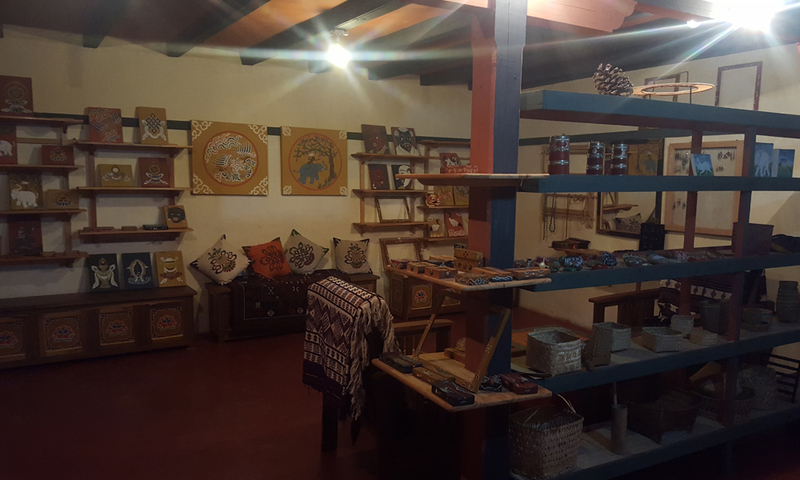 You can also walk to the small town of Missina, where you will find a thriving vegetable market, quaint shops, restaurants and bars that are typical of what you will find driving along the highways of Bhutan. 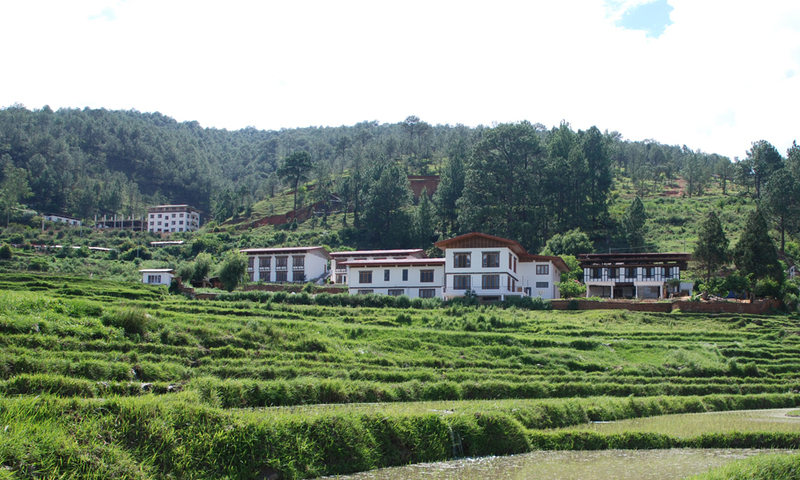 Being centrally located, Drubchhu is in close driving range of all the myriad sights and activities of Punakha valley and to a certain extent that of Wangdue valley. So come, halt in Drubchhu and be satisfied!